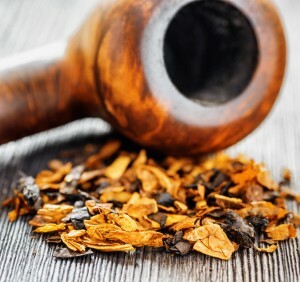 Choosing the right tobacco strength to most can be a very personal experience. For some people, tobacco pipes are sentimental and need to be preserved and even inherited by next generations. It’s this level of importance attached to tobacco pipes that necessitates the discussion on how to go about choosing the right tobacco strength. If you’re a beginner, corn pipe is highly recommended as your first. The pipe is easy to use for beginner pipe smokers because it doesn’t need prior break-in, making it perfect for anyone with or without experience. If you’re willing to buy or acquire a briar or meerschaum, however, then you’ll definitely need to put a lot of thought and consideration into the whole process. You’ll ultimately have to choose between estate and new pipes. Estate pipes are pipes which have already been used by another person but have been picked up and cleaned for resale. These kind of pipes are usually already broken in. Whichever pipe you chose to buy, you’ll have to consider personal choice, the quality of the pipes, and lastly, the price of the pipe. When inspecting any pipe, you should look out for features like moisture traps, which prevent the pipe from smoking wet and loudly and fills, which affect the look of the pipe by aging faster than the rest of the pipe. Metal inserts will also lead to wet and noisy pipes. The weight of the pipe is also important in ensuring that the pipe feels as comfortable as possible. To avoid easy cracking of the pipes, the finishes should not be sealed. If you’re looking for quality, then you should go for pipes with a tight and uniform grain. Lastly, you should look for the right price to fit your budget. However, since it’ll probably be the only pipe you ever buy, more emphasis should be put on the quality and aesthetics.